Living in Sunny South Africa! : "Friends" tutorial as promised! Hi all, a very early morning post today. Hope you had a lovely weekend. Mine was just lovely, we had family with us, celebrating my Mom's 60th Birthday. I tried really hard to give her a special spoily weekend, cause she really is the best Mom in the world! As promised I am back with my Friends tutorial. 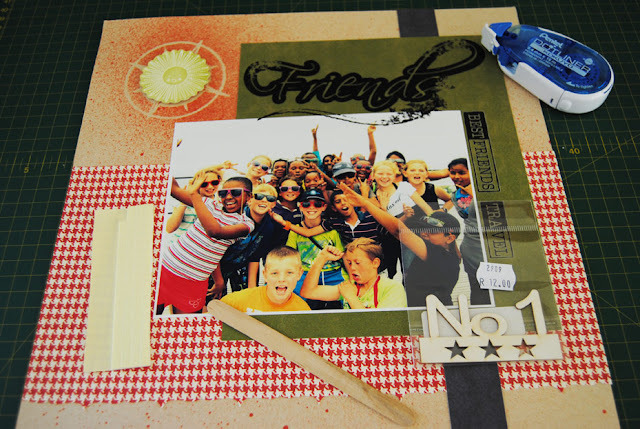 All product used in this tutorial is available from SCRAPBOOK STUDIO. Do yourself a favor and check out their shop!!! I decided to base this layout on one large focal photo. The idea for this came from the lovely large “Friends” rub-on that was included in the kit. I had just the photo to use, this one taken of my son and his classmates on their recent class tour. I decided not to change the colour of the photo to sepia this time, and work instead with the lovely bright colours in the photo. The main colours I chose to use are green red & blue. Once again I turned to my trusty (and well loved) Studio Calico Mr Huey Color Mists. 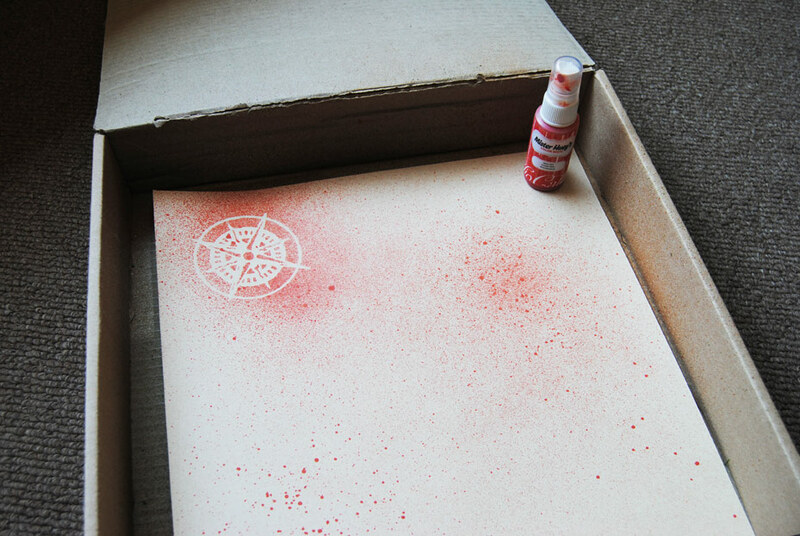 I used the colour Real Red and used a Tim Holtz mask called “Compass”. I thought this mask was perfect to work with my travel themed layout! 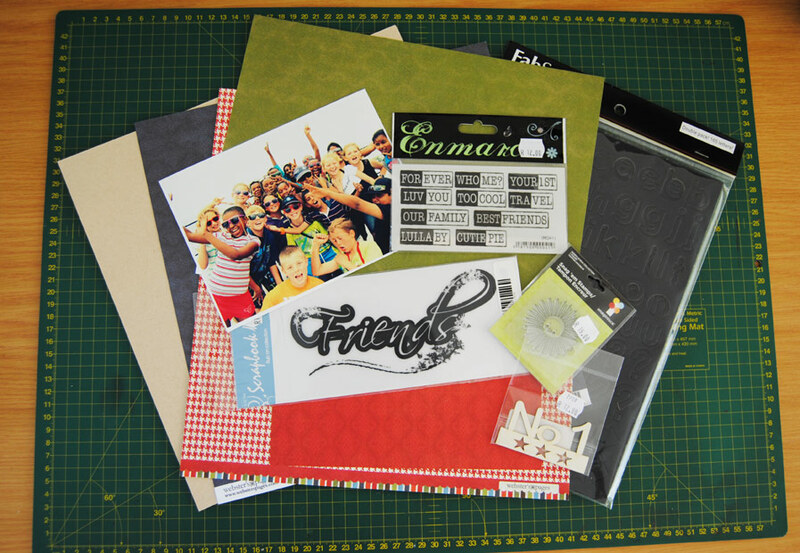 I purchased both of these items from Scrapbook Studio! I love my punches, and used this Knock-Outs Bracket punch by American Crafts to create a lovely subtle effect on the edge of the lovely red houndstooth patterned paper included in the kit. 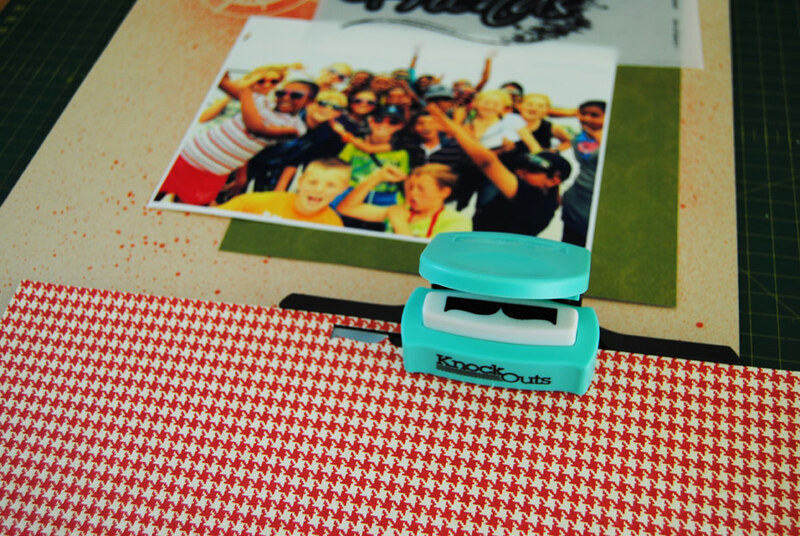 These punches are gorgeous and are also available from Scrapbook Studio! These Enmarc Crafts rub-ons were perfect to go around the edge of my photo, some of the wording was just right for the vibe I was trying to create on my layout. I have always been a bit weary of South African produced rub-on’s, but these went on like butter!!! 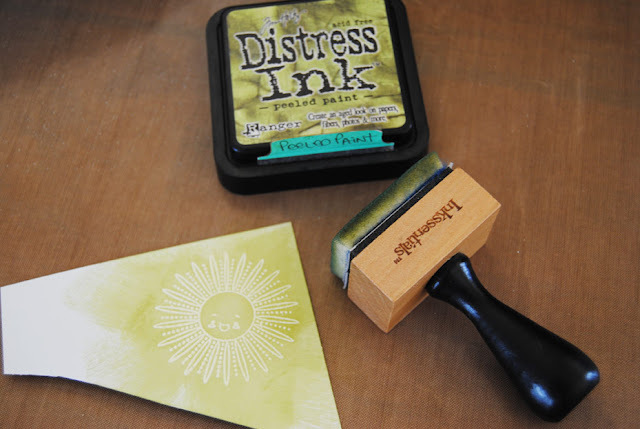 As per my previous tutorials I used white embossing powder, which I heated and then inked some Tim Holtz Distress Ink in the colour Peeled Paint over the image. I then fussy cut around the edge of the cute little sun! I adhere some of the elements of my layout. I popped the sun up with some foam tape, it fit perfectly in the centre of the compass mask. I used my Silhouette Cameo to cut some circles for my layout! 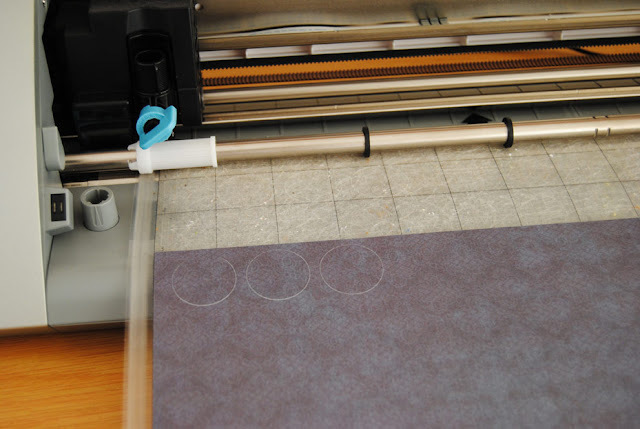 For me, this is the most fun part of putting together a layout, adding all the bits and bobs. 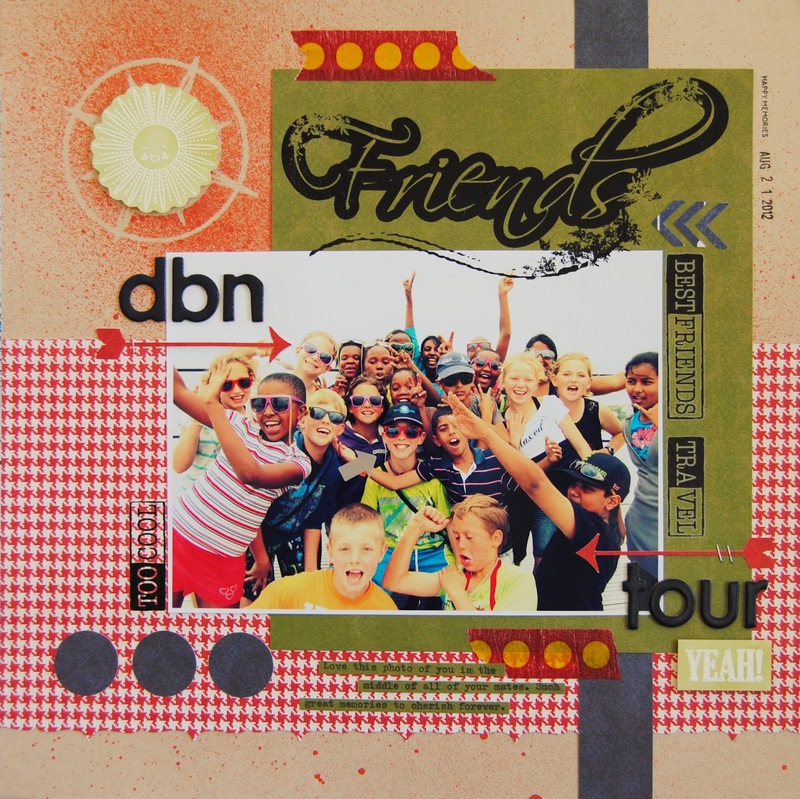 I ended up using some of the gorgeous FabScraps alphapbet stickers to add the words “dbn tour”, as well as another Enmarc rub-on. 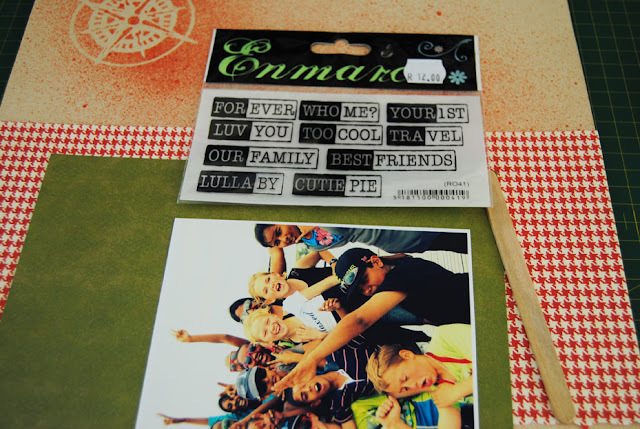 I cut some arrows with my Silhouette and attached them with my Tim Holtz Tiny Attacher. I purchased this mini stapler at Scrapbook Studio a while back, and I have got to say I LOVE this little thing, I used it on my layouts, all-the-time!! I see it’s still in stock at Scrapbook Studio!!! 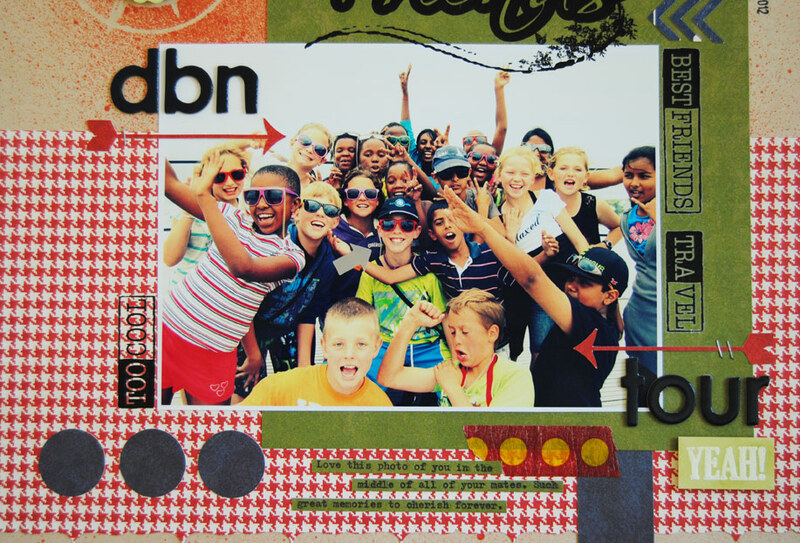 And here it is, the end result, a fun bright and happy layout. I hope you have gained some ideas from my tutorial. There were so many yummy goodies included in this kit, if you would like to order it (or more info on the kit), email Scrapbook Studio at this address: sales@scrapbookstudio.co.za with September DT kit in the Subject Line. This is fantastic! Love all the special touches - the tape, the arrows. Love how you explained it all in the tutorial! GREAT page!